Big News - I will be returning to MQX New England in April to teach! I will be teaching 5 classes this year! I will let you know all the details, including class information, as soon as registration is open. Month 4—Making 2 blocks into 1! Or 20 into 40!! 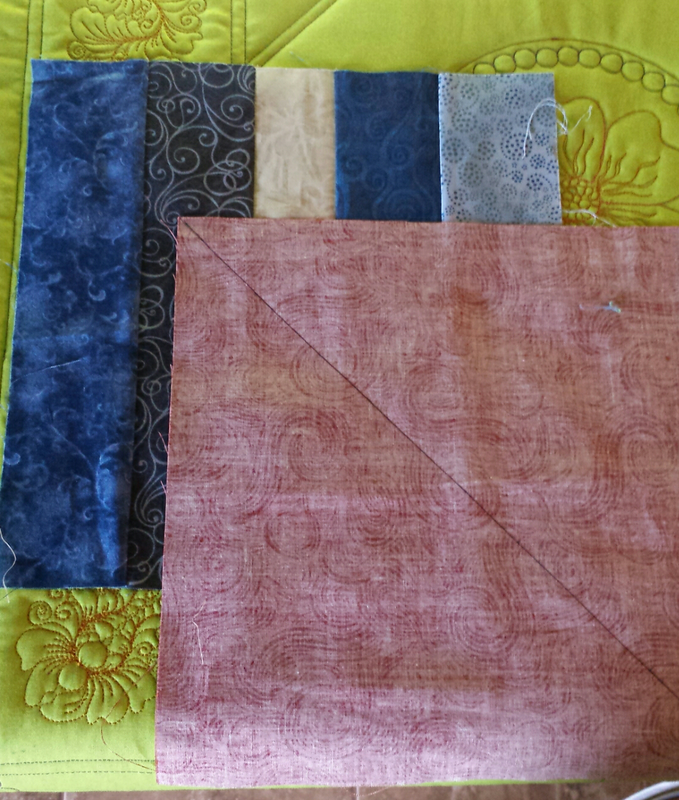 This month we’re going to use all 20 of the 10”x10” squares and the 20 strip blocks we made in Month 2. We’re going to use these blocks to make giant half square triangles. 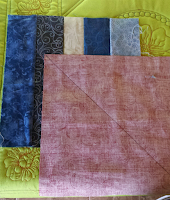 Step 1—draw a diagonal line on the back of each 10” square, corner to corner. Step 2—Lay a 10” square on a strip block, right sides together. Be aware of the orientation of the strip blocks!!!!!!!!! You will have 40 large half square triangles, 9 1/2” x 9 1/2”. Oh yeah! Now I can get this next clue sewed up!